The goal of this study was to explore personal, business, and social money-related practices that have emerged with increased patronage of Mobile Money (MM) in Ghana. Of particular interest was the impact of MM on the urban poor who so far appear to be the sector of the population least aware of and the least likely to use MM in their daily lives. The goals of the proposed study were to (i) investigate MM uptake patterns in year 3 of its re-introduction to Ghana, (ii) to explore the social and cultural interfaces between MM and existing money behaviors, including savings and money transfer practices among Ghanaians of different socioeconomic classes, and (iii) to investigate of the internalized (cognitive) representations of MM that Ghanaians develop. The study focused on the segments of the Ghanaian population and behavioral practices that were perceived as included and excluded from the MM adoption process. Research to answer these questions was conducted using surveys, spending diaries, interviews, and analysis of secondary data. College Student Monetary Preferences Study: Second only to treasury bills in overall preferences, Mobile Money was preferred over notes, coin, and card-based options. Cash was preferred over card-based options. High value notes were preferred more than lower denomination notes. Notes were preferred over coins. College Student Spending Diary Study: Cash was the predominant form of payment for daily expenses while Non-cash transactions made up 2.86% of reported purchases and MM accounted for less than 1% of transactions. Mobile Money Use Population Survey: 14% of our sample reported using MM at least once in order to receive a money transfer and/or send a money transfer, pay bills, make purchases of goods and purchase airtime. Industry Data: There was a significant uptake in MM use based on provided data. Interviews with Individuals in the MM industry: Interviewees cited regulatory, agent, educational, pricing and profitability issues as barriers to MM uptake, but respondents were optimistic about the potential for growth in the MM industry in Ghana. Interviews with Consumers (both users and non-users of MM): Participants expressed an overall preference for cash over MM, and displayed a lack of trust of MM, yet basic knowledge of MM was higher than in previous years. Interviews with Early Adopters: First use of MM occurred in a situation where the individual had an urgent need to send money to someone in another part of the country. 9 of 10 participants used it again. Interviews with Retailers: Retailers predominantly used cash over MM in commerce because of lack of trust (network problems and concerns about fraudulent activity), yet knowledge of MM among retailers had increased. 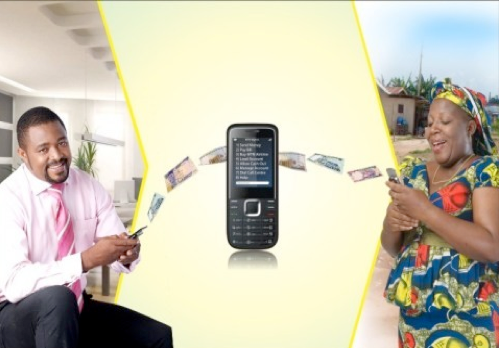 Mobile Money in the Church: The nature of MM (intangible and mobile-phone based) made it undesirable for incorporation into church activities (including funerals and weddings). 1. Cash is King in Ghana: Cash is still the main form of payment for day-to-day purchases. Large payments generally involve the formal banking sector. Cashless payment forms have not yet began to dominate the payment scene. 2. College students prefer Mobile Money over cash, but not over treasury bills (for saving). 3. Mobile Money knowledge and use has increased, but MM has not become a major means of payment for goods and services, or savings. 4. MNOs have increased MM products available to the public, slowly creating a MM ecosystem. However, apart from money transfer, this ecosystem is largely targeting the middle and upper class. 5. Barriers to MM uptake remain: Information gathered from interviews indicates the persistence of regulatory, partnership, and educational barriers that hamper the growth of the MM industry in Ghana. In conclusion, the answer to the question of how Ghanaians from different socio-economic backgrounds are making sense and use of mobile money in urban Ghana in their personal, business, social lives is a simple one. The use of MM is increasing over time, and the commercial settings in which MM can be used is slowly growing due to the development of new products and business partnerships, but cash remains the major means of payment in urban Ghana. Also the majority of the MM products (apart from money transfer) are aimed towards the middle and upper classes to the exclusion of lower income groups. For instance, willingness to use MM especially in markets was low at the time of data collection. It is therefore hoped that as the MM ecosystem grows, new products that benefit lower income segments of society will be developed. Socially, MM is gradually establishing itself as a means by which individuals can fulfill their financial obligations to extended family members in financial need. Apart from sending remittances, however, these series of studies indicate that MM has not widely permeated the social sphere, and thus has so far not had a salient impact on social life (e.g. churches, funerals, weddings). Whether or not this will change over time remains to be seen. *Transfer Money Instantly to Loved Ones with Mobile Money. [Photograph]. Retrieved July 3, 2013, from: http://m.myjoyonline.com/pages/business/news/201304/104850.php. For information on Vivian's Dzokoto's project in Zambia click here.